On Thursday, Noeleen led her “Introduction to Anusara Yoga” workshop at the 136.1 Yoga Studio in Dubai Marina. Keep your eyes peeled for her next blog post to find out more. Here’s a recipe inspired by her trip to tide you by. Grill the aubergines until they are soft inside and the skin is almost charred. Allow to cool and then scoop the flesh from the inside into a blender. Place all the other ingredients into the blender until smooth. There are additional options for during your stay – spoil yourself with an additional treatment or turn your soak in the hot tub into an Uisce Hour! Get in touch if you’d like to learn more about this very special treat for two. You may remember a few weeks back, photographer Kelvin Gilmor visited Ard Nahoo for a photoshoot. You were treated to very brief sneak peek and you will now be able to have an exclusive viewing of a few more! 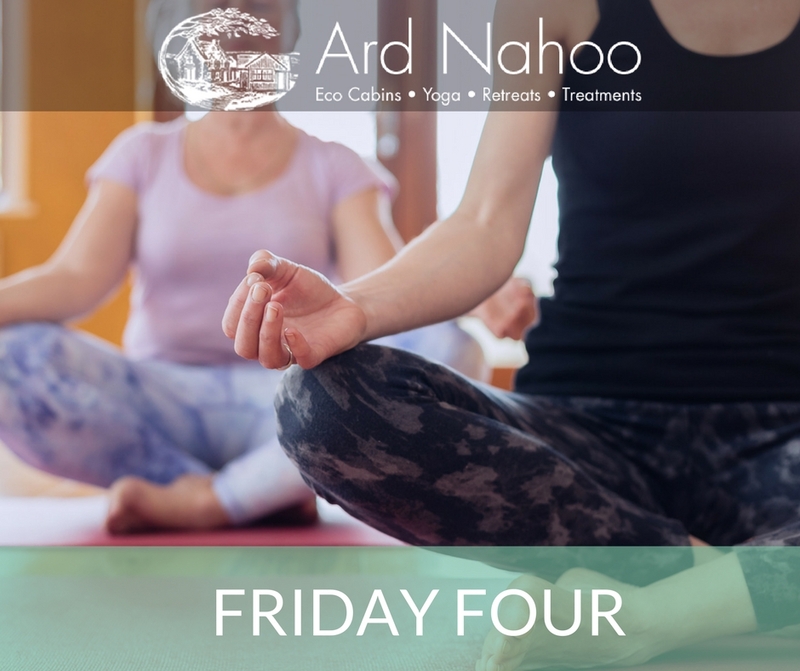 These photos truly capture the warm and inviting atmosphere of studying yoga here at Ard Nahoo. That feeling is something that we want everyone to experience while visiting, whether you’re studying yoga, relaxing with one of our Retreats or staying in our gorgeous Eco Cabins. Let us know what you think of the new snaps! Anusara Yoga & Yoga for Pregnancy classes took a little break while Noeleen was away but this week they will resume as normal. Anusara I is back on Tuesday 14th at 6 pm and Anusara II at 7:30 pm. Yoga for Pregnancy will be back this Wednesday 15th at 6:15 pm. Can’t wait to see everyone there for some much needed asanas & pranayama. As is usually the case, newcomers are always welcome. We love to see a new face, and we also love welcoming our devoted regulars each week.